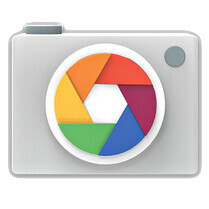 Shy of a month ago, Google released its overhauled Camera app into the Play Store. As we told you back then, the app came with a revamped interface and several interesting new perks, such as the trendy-of-late lens blur effect, as well as enhanced photo sphere and panorama modes. However, there was a notable flaw in the video capturing department – unfortunately, the nifty feature that allowed you to take snapshots while recording was nowhere to be found in the app. Luckily for those who use Google Camera to shoot videos, the feature has made its return in version 2.1.042 of the nifty app, which started its rollout just recently. This means that you are just a tap away from taking a still image when you are in the middle of shooting a video. The update also fixed some bugs and issues – now, the focus ring won't disappear after you've taken a picture with the lens blur function of the app. Additionally, Google Camera won't force close if you try to enter the "Settings" menu. As usual, the update will be rolling out in stages, so take into consideration that you might not get the new version of Google Camera right away. Still, if you are of the impatient type, you can follow the source link and sideload the app on your device, courtesy of XDA. Be advised that the app is only compatible with smartphones that are running Android 4.4.
and hdr? ?when it is coming PA?? Okay. Pic 2. Is that a man or a woman? I just know it's a creepy creature lol. Hahahahaha Lol I can't stop laughing!!! Actually that's also the image that shows up when app teaches you how to use lens blurr. But really creepy creature lol! !